A piece of SHE ...: What's Cooking ?! I am not an expert cook and my boyfriend keeps teasing me for this always. Today, I decided to show off my culinary skills to him. 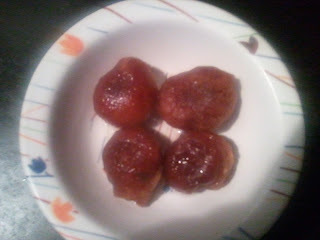 Therefore, I made an Indian Dessert called “Gulab Jamun”. I sent him pictures of the final product and Lo! Those pictures had increased his doubts further. Oh, I forgot to tell you that we are in long distance relationship. yeah, its tough but till now we are doing fine. Touch wood! I am gathering experience to write about long distance relationships someday . Anyways, getting back to the topic, when I told my boy friend over phone that I'm going to kitchen to cook dessert, he was quite shocked and asked me if I am alright. I rarely go to kitchen but I would love to cook for my hubby after marriage: D I made these gulab jamun for the first time in my life. I could not make it that yummy and it looks different from the one we buy from the shops but still I am happy as this was my first time. I want to share the recipe of this Indian dessert with all of you. All you need is just ready made gulab jamun powder. If you are not in India then you may buy this powder from any Indian grocery stores. Nothing much is required for this dessert. You will get everything in your kitchen. Readymade gulab jamun mix. 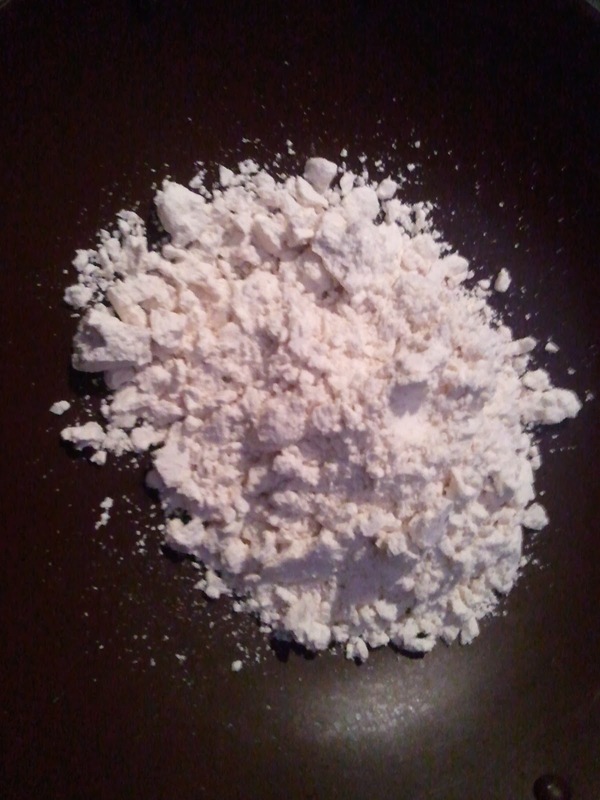 This mix consists Refined wheat flour, skimmed milk powder, Edible vegetable oil, Sodium Bicarbonate and Malic Acid. See I told you , you can grab all the ingredients quickly from your kitchen shelf itself. Step 1 : This is readymade gulab jamun powder. Here,I had used a brand called "Bambind Gulab Jamin mix". You may use any other brand. I had never heard of this brand before. I would try some other brand next time. Step 2: Add milk in the powder and make a dough. Step 3: Apply ghee on your palm and make round balls. 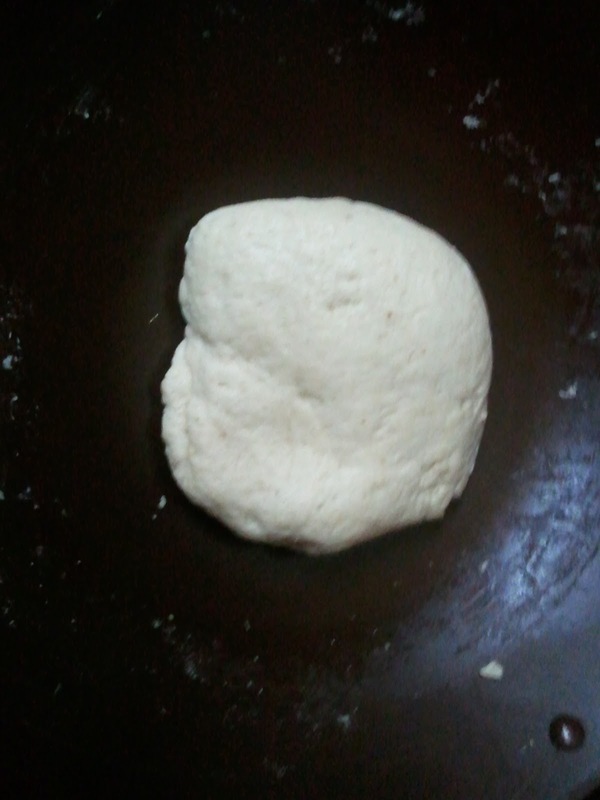 Making round balls was tough for me. You can see in the picture below that all are not round in shape. Alas !They are of different sizes and shapes. I made around 20 - 25 balls. Step 4: Heat oil in a non stick frying pan . 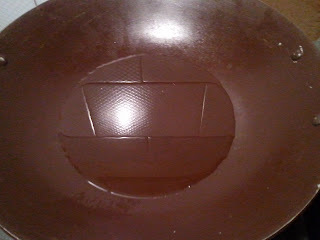 Add 1 tablespoon ghee in the oil . Heat the liquid in medium flame. Step 5: Add those round balls in hot oil. Step 6: Fry those balls in low flame until they are completely red in color. 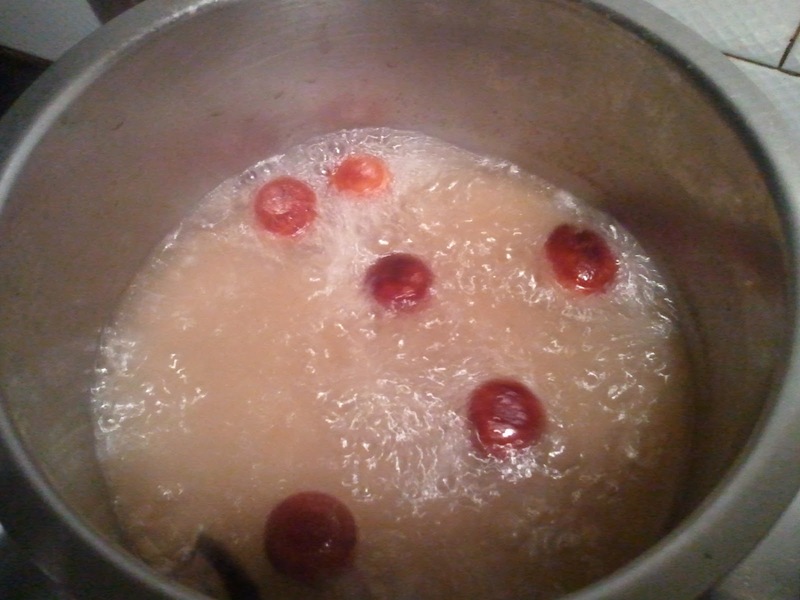 Step 7: Gulab Jamun is serve with sugar syrup, which makes the red balls very soft, sweet in taste and smooth. 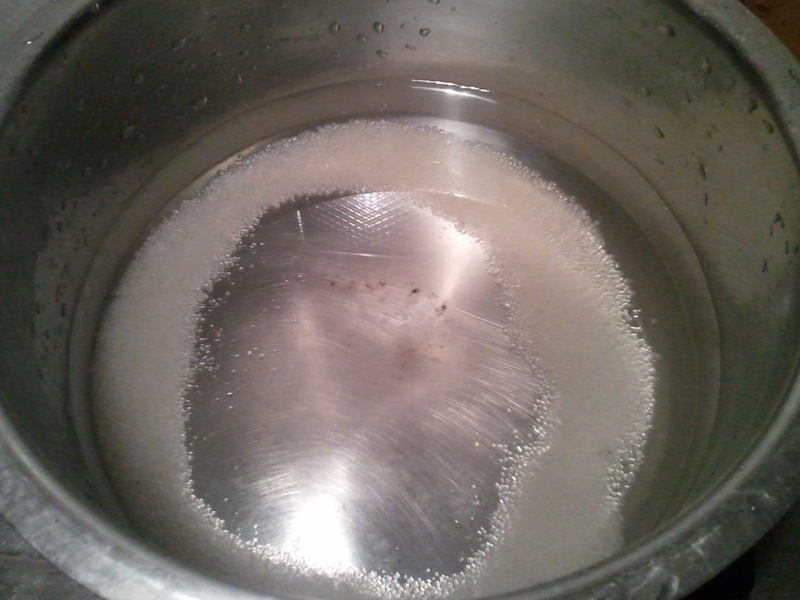 Boil sugar in water until the water becomes little thick and your sugar syrup is ready! Easiest part! You may add cardamom, Rose water or Saffron for wonderful delicious smell. 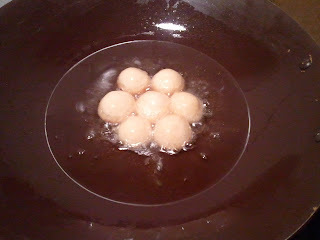 Step 8: Dip those balls into hot sugar syrup for 30 seconds. 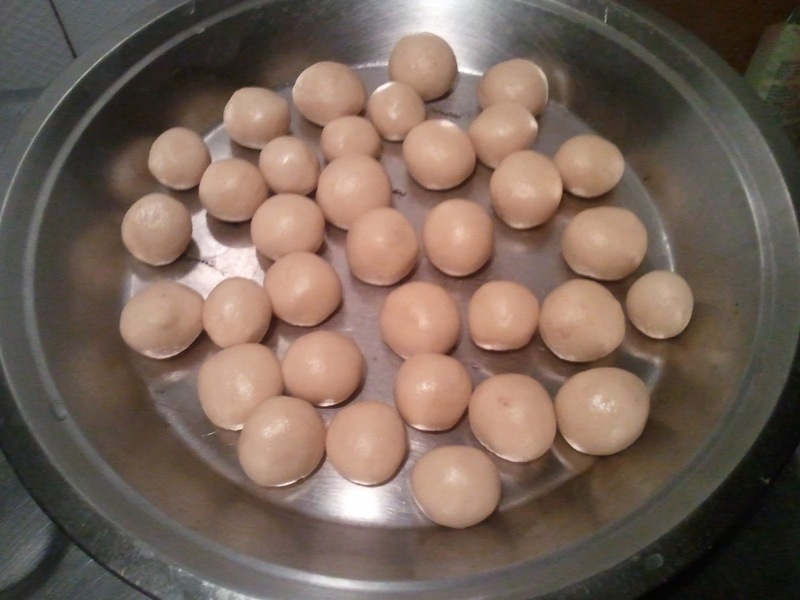 Step 9: Finally , Gulab Jamun is ready ! yayyy !!!! serve it with remaining hot sugar syrup after dinner or lunch. My dad is my biggest fan when it comes to my cooking skills. He showers his praises on me even if I just boil water. So, do not think that I can rely on his feedback. Other members in my family are not that fond of sweets. One good thing is they are all fine after having Gulab Jamun. Jokes apart, I personally think that they were okay. May be I can do better next time but it was fun and I enjoyed the whole process. I just have one regret that he was not here to taste it. 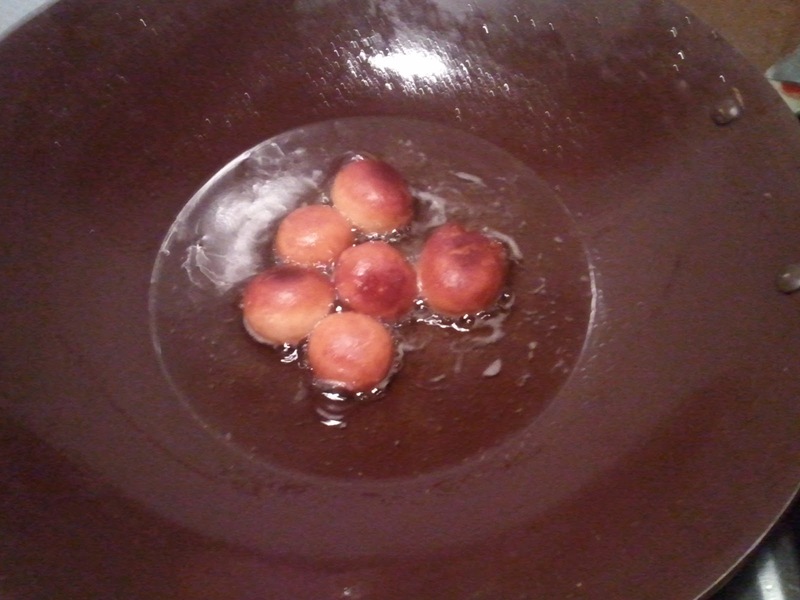 Yummmy I love Gulab Jamun! That looks so yummy!! Good job!!! I read Young Adult books, and I just followed you under the name Kacii Epicness. I don't know why, but for some reason that is my public name when I follow a blog. These look a bit like mini donuts - your cooking looks just fine to me! Have a great week. http://beanandjean.blogspot.ca/ - give mine a read?